JASPER, Ga. – Earlier this week, on March 4, 2019, the Jasper City Council heard, and approved, a presentation to for renaming a portion of Stegall Drive to Veteran’s Memorial Boulevard. 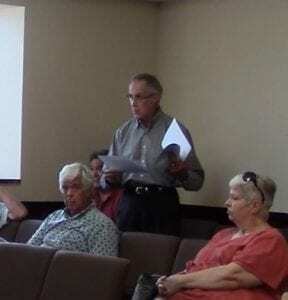 The presentation covered most of the concerning issues as Frank Leist said the Veteran’s Association has already contacted the neighboring parties on the street, the Chamber of Commerce and the Senior Citizen, about their response changing addresses with the street name. They also have already looked into signage for the streets and the park. The actual street name change will only stretch on the Stegall Drive from Mary Street to Maple Street. Leist when on to note some additional ideas that could be coming to the park including some military equipment. Leist also noted that he had offered to the neighbors that they would absorb costs for the changes. With the council’s approval, and no other concerns from 911 about the renaming, the street is officially renamed and citizens should be noticing the changes coming as the follow-up with City Manager Brandon Douglas details the logistics and operations of the change. JASPER, Ga. – Final approval came this month in the City of Jasper’s ordinance changes for breweries in the area. While details were discussed last month on setting the costs for the license at $1,500, it was the July 2 meeting that that approved the final adoption as well as the effective date of the ordinance change to the alcoholic beverage ordinance allowing the business as well as the zoning ordinance change to include Brewery in the accepted uses under General Commercial (C-2) and General Industry (M-1). The amendment allows brewers to manufacture malt beverages and beer in the city limits of Jasper and provides for the creation of the authorized license for that end. Additionally, City Attorney Bill Pickett confirmed the breweries were allowed to have consumption on premises and were exempt from city restrictions for consumption. This means the allowance of tastings and similar events on premises of the brewery. With the new ordinance, last month’s meeting indicated that other popular options at breweries would be available such as growlers and crowlers. For those still curious, a growler is a container or vessel that is used for the transport of beer. It can also be described as an air-tight jug, typically made out of glass, ceramic, or stainless steel that allows you to take draft beer from one place to another without a degradation of quality. A crowler is similar but in can form. Citizen interest has already been shown as well as the business interest of at least one brewery to come. The only question citizens have raised so far is how the facilities will handle parking. A subject the council indicated would be handled with the zoning into only industry and C-2 commercial zonings. New council member Kirk Raffield takes his oath before sitting on the council for their June Meeting. JASPER, Ga. – After May’s primary election night, Kirk Raffield pulled out a close victory of 272 votes to his opponents 262. With the 50.94 percent results, Raffield attended the city of Jasper’s June council meeting to be officially sworn in as a part of the council. 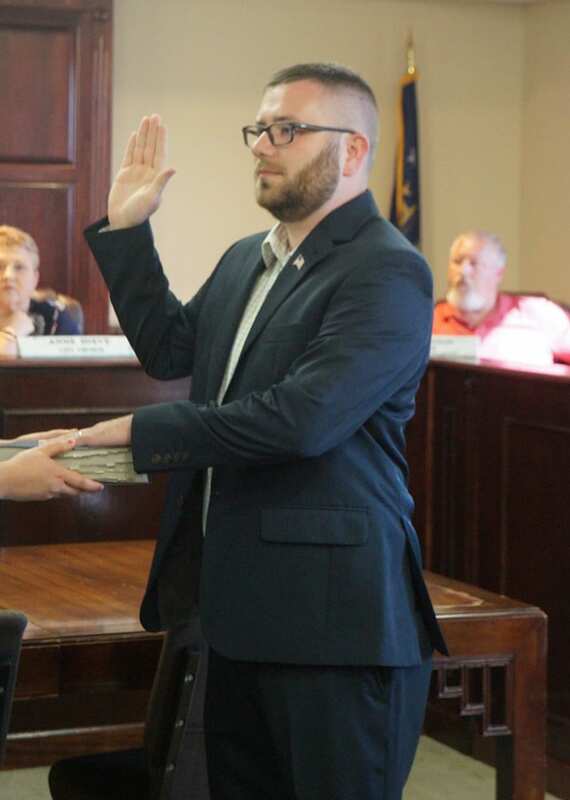 With it being his first meeting, Raffield swore his oath preceding the official call to order in their council meeting and officially took his seat after this. With many in attendance to watch the ceremony, one citizen, Regina Mosley Camp, took a moment to comment on the event saying she knew Raffield as a younger child. “I am truly excited for him because I know the quality of man he is,” said Camp. Camp volunteered in Raffield’s campaign for the council, noting that she was fervent in her support because of what she has seen him do throughout her time with him. The special election came after former council member Jim Looney stepped down to take the interim city manager position for Jasper. The seat has been empty up to this month. With such a close race, Raffield moves forward on the council with a question on him constantly asking what he will bring to the council meetings and what he will accomplish for the city. Sitting in his first meeting, Raffield was not shy about his new seat, speaking fervently on an annexation issue specifically. Check out more by reading City Council discusses Sharktop Ridge annexation. First of all, I want to thank all the citizens of Jasper for giving me the opportunity to serve you on your City Council. It has been a real honor, unlike any other ever bestowed on me. I also want to thank the Mayor and Council for working with me and being patient with me in my growth and experience. At first the responsibilities seemed overwhelming but as I have learned more and more, and started to build relationships the rewards have been many as well. In just 8 months we have made much progress, and even more exciting times in Jasper are just around the corner. There is still much, much work to do, but the council, with your help, has identified those areas where more focus is needed, and I am confident we will continue to help our city. 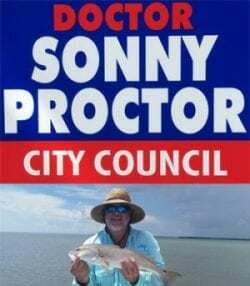 For that reason I have decided to run again to represent you the citizens on your council, this time for a full four year term. I am sure I will be opposed, and ready for it, and I will need all of your support to prevail. I truly think my experiences past and present can benefit our city, and my heart is in the right place. This is to preserve what is good about our city, and improve the rest! Again, thank you!